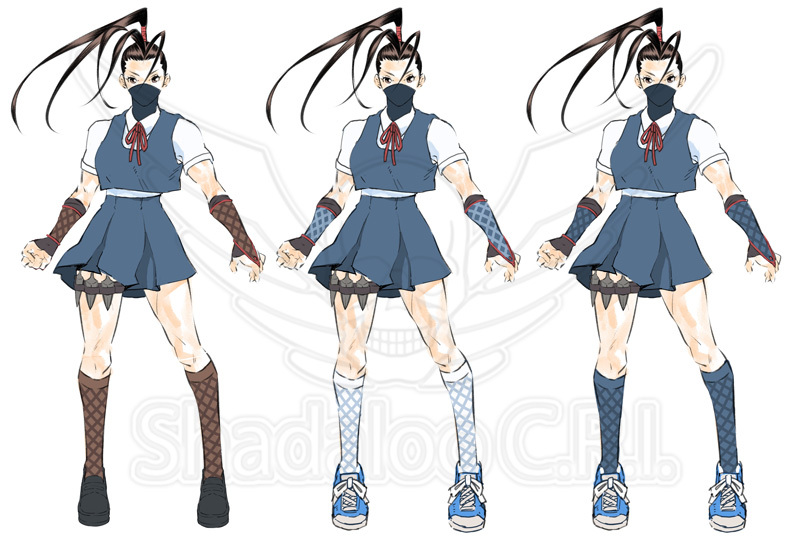 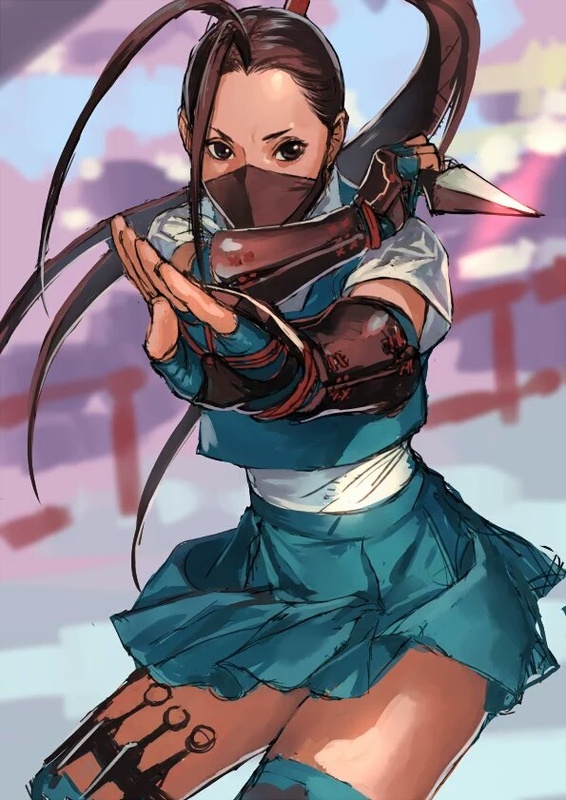 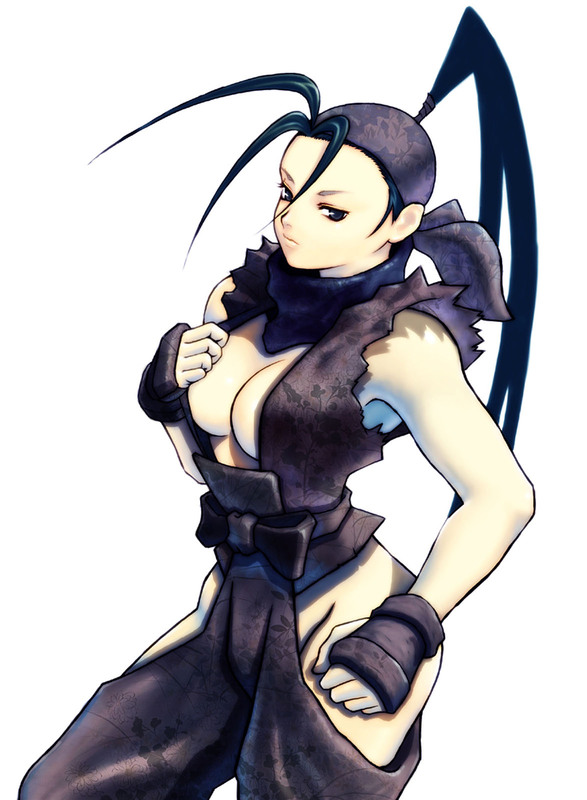 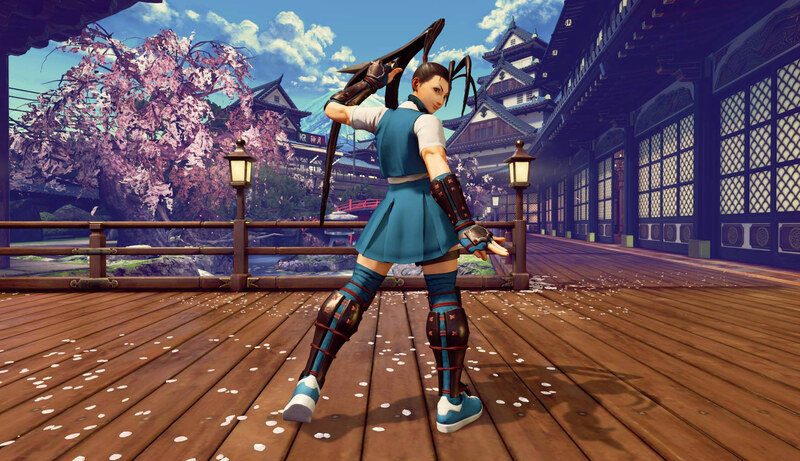 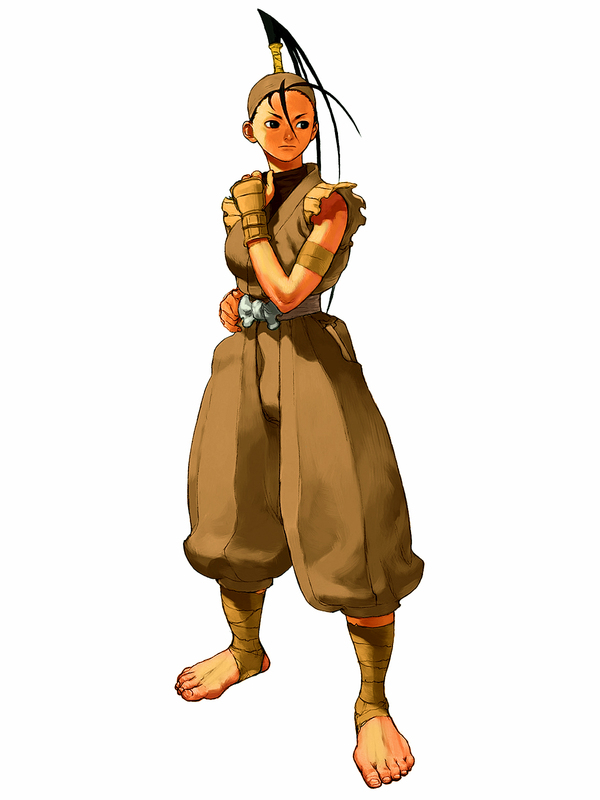 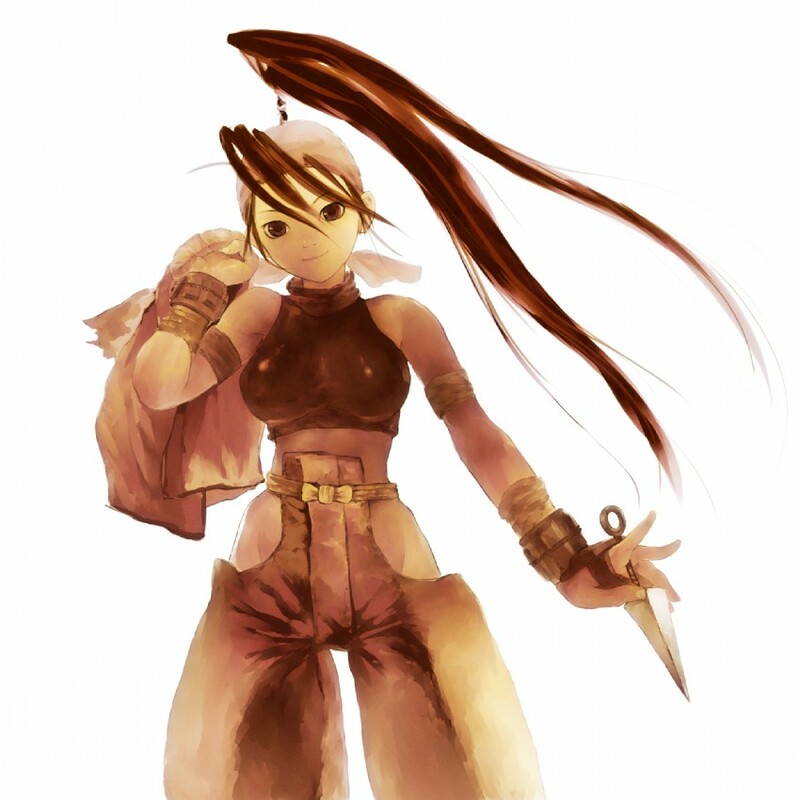 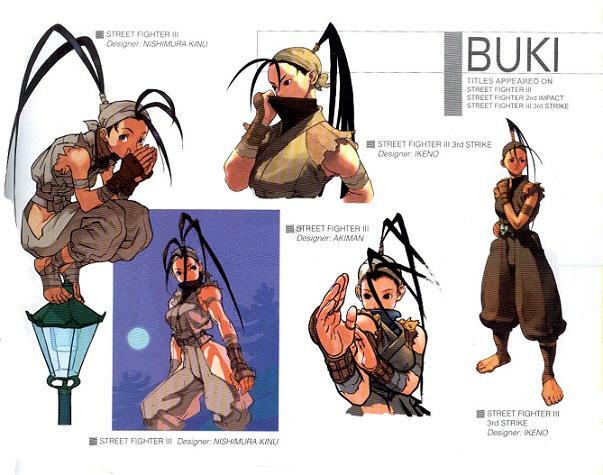 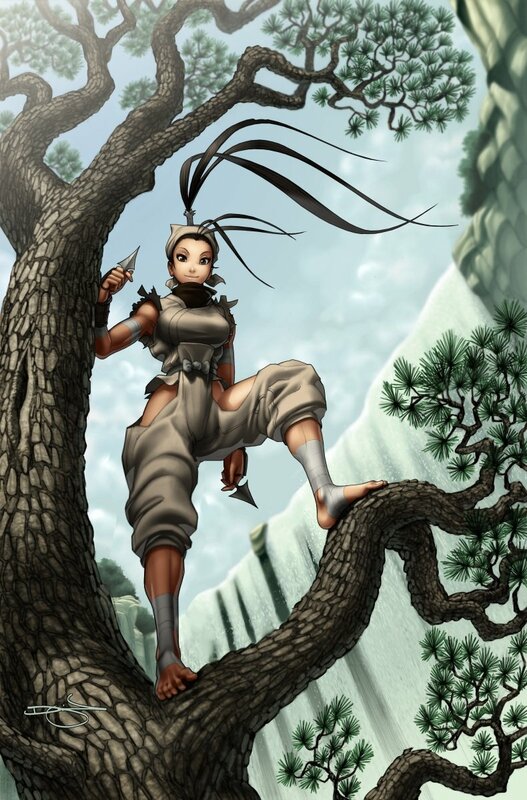 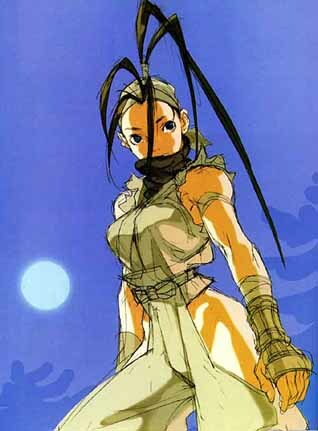 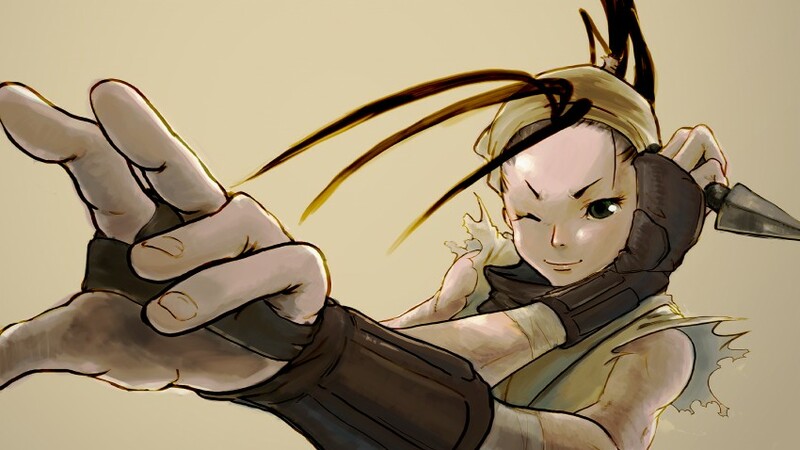 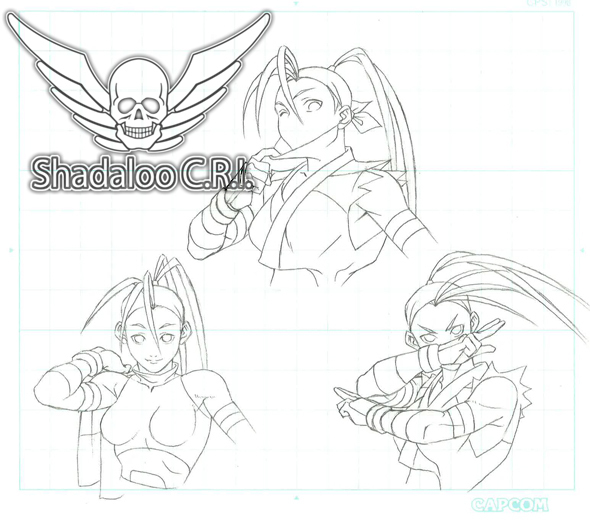 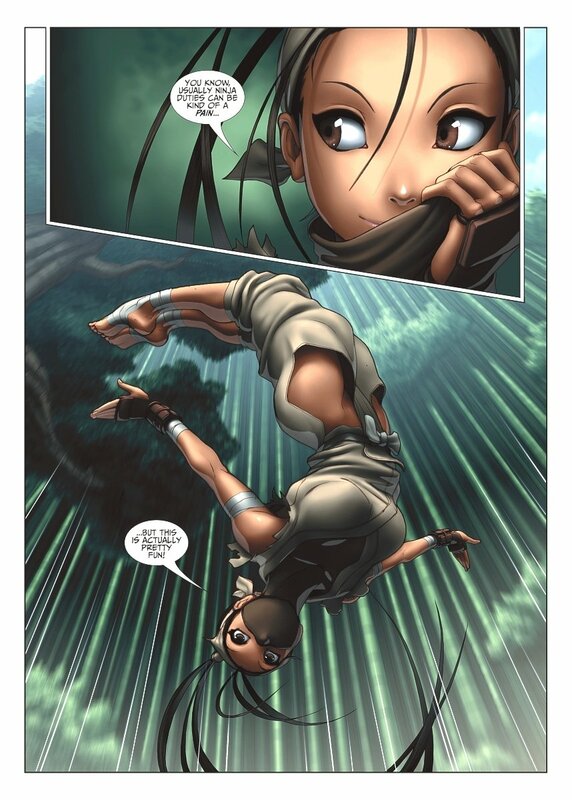 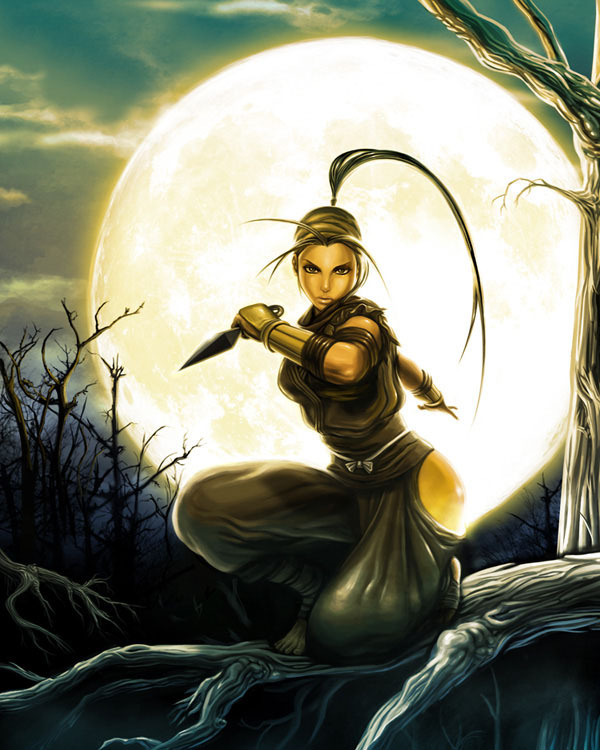 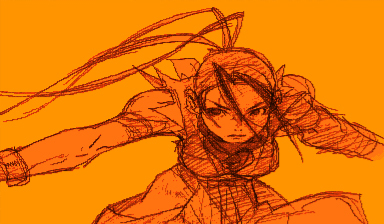 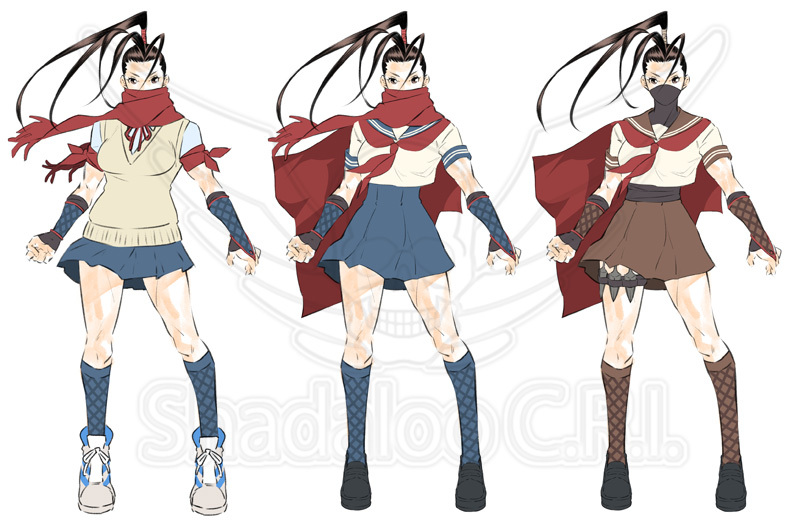 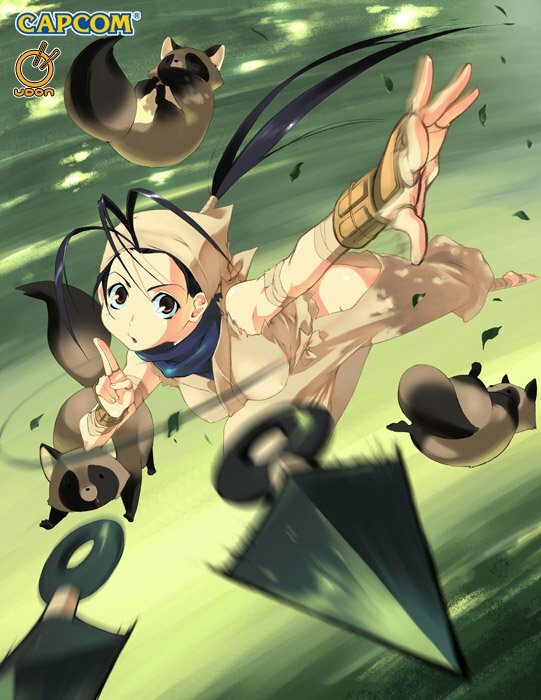 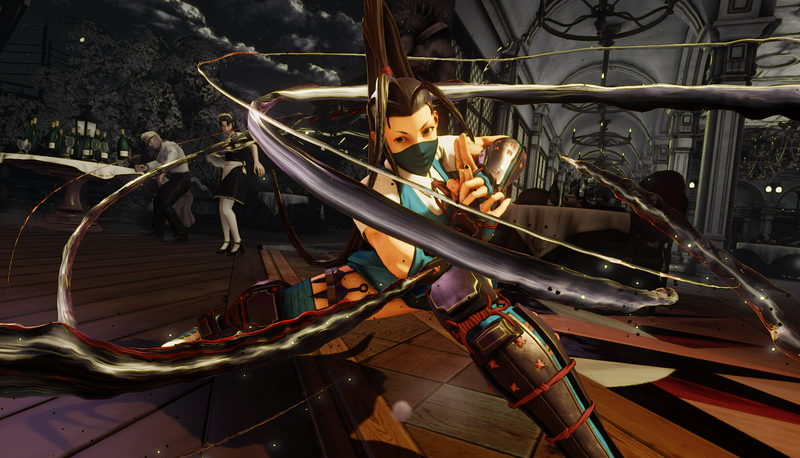 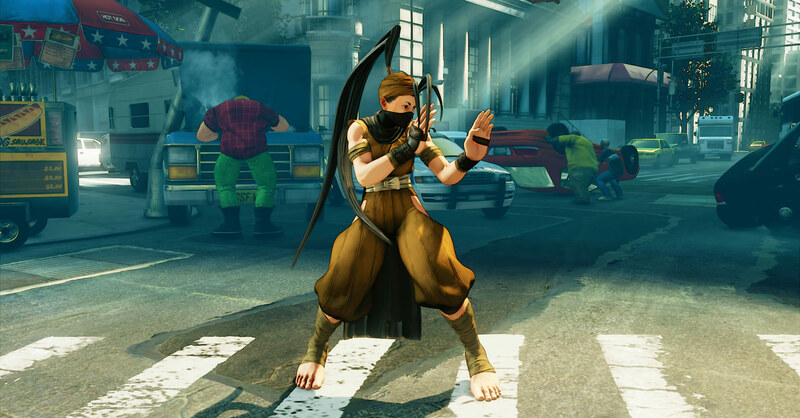 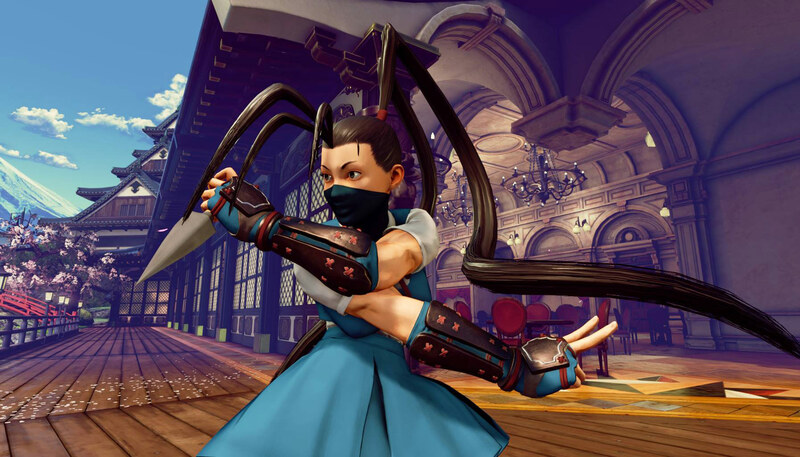 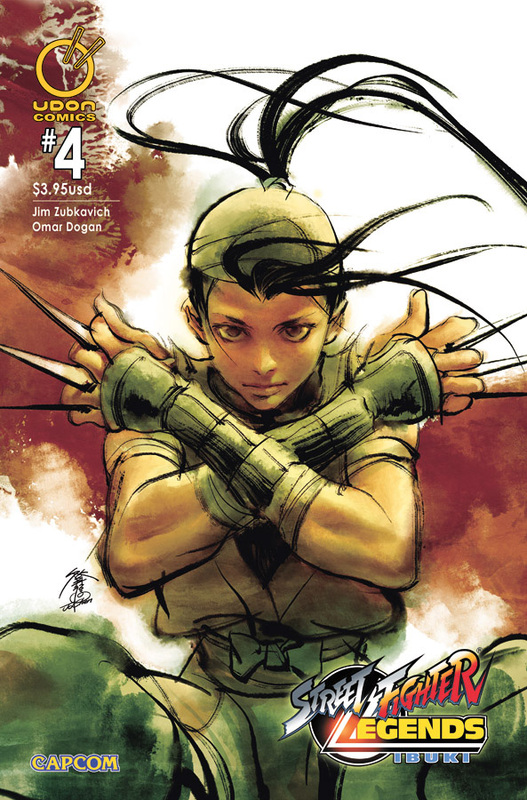 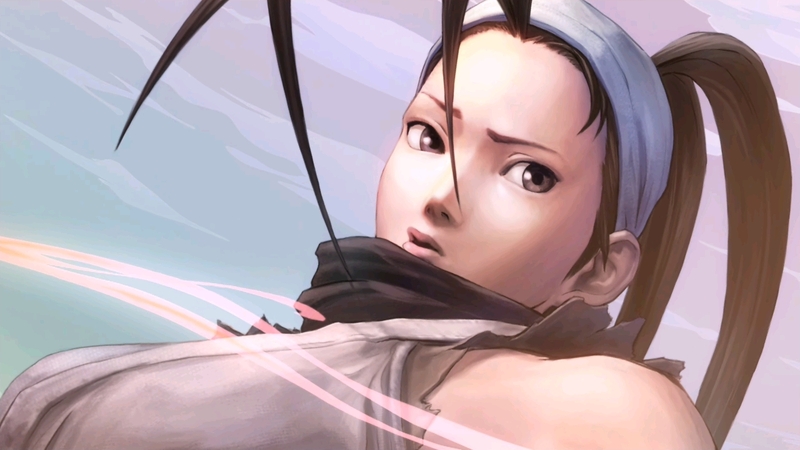 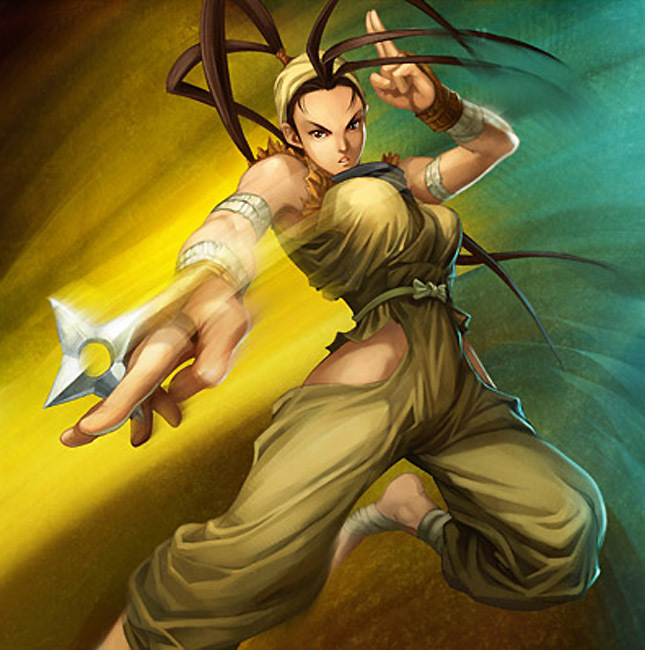 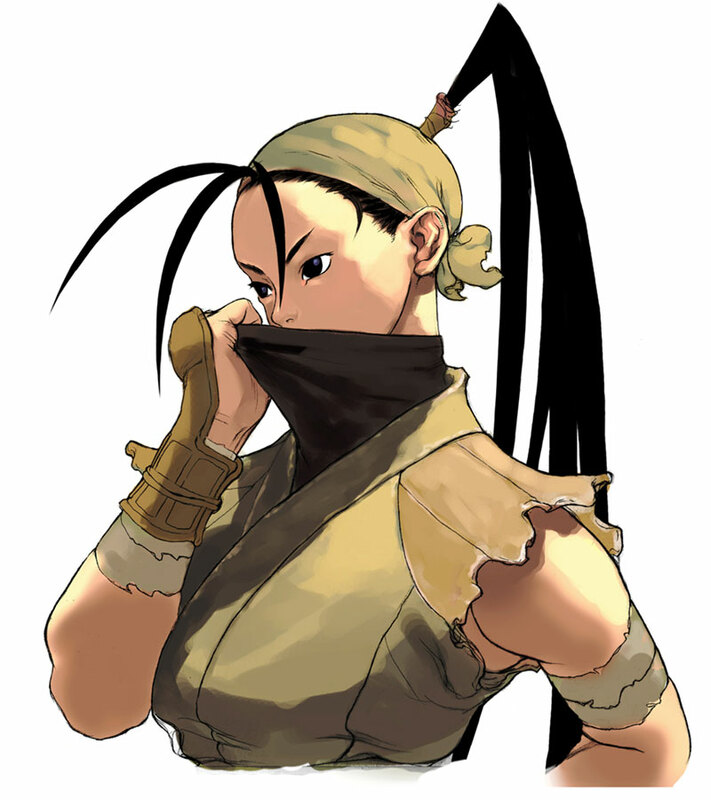 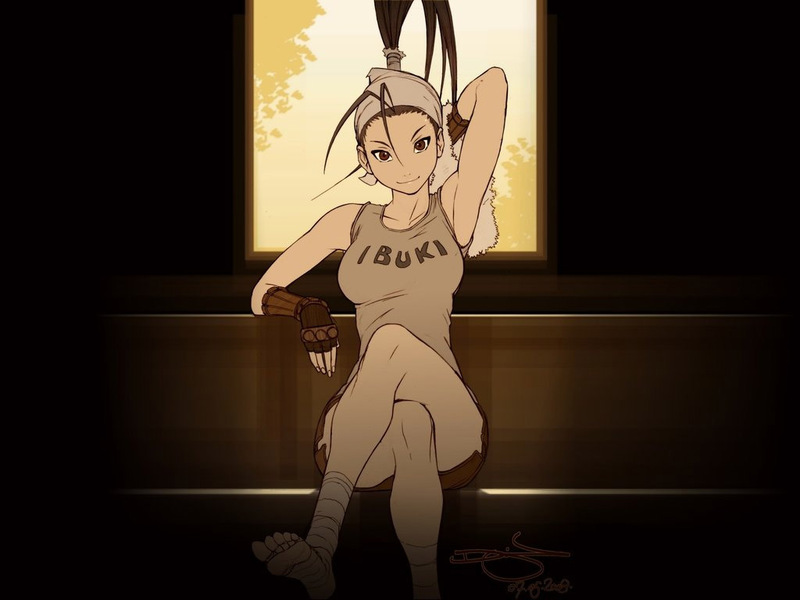 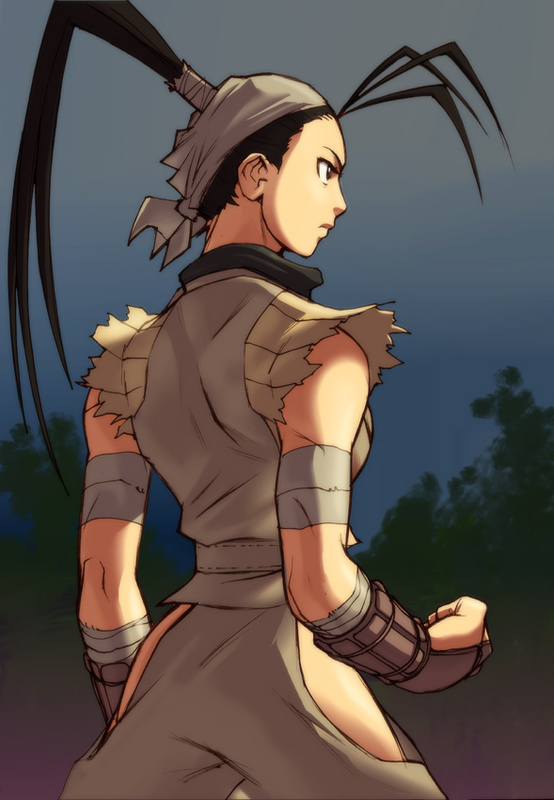 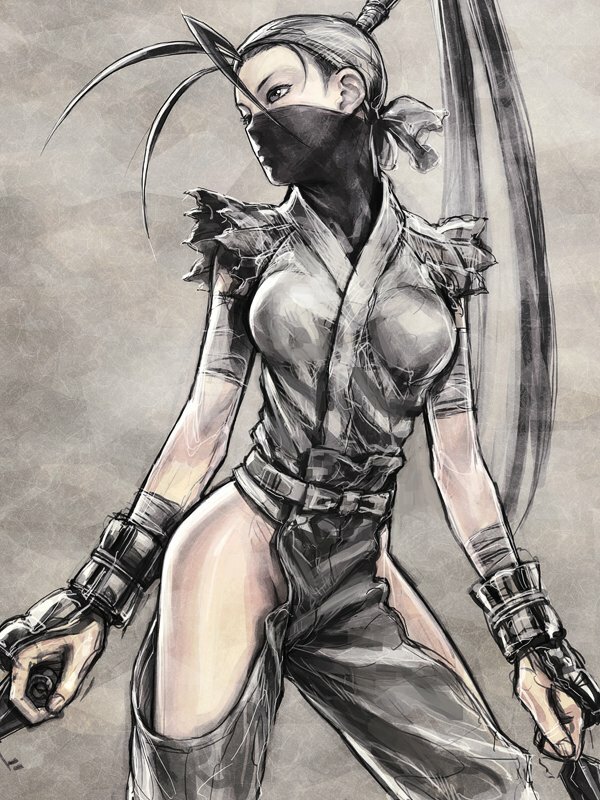 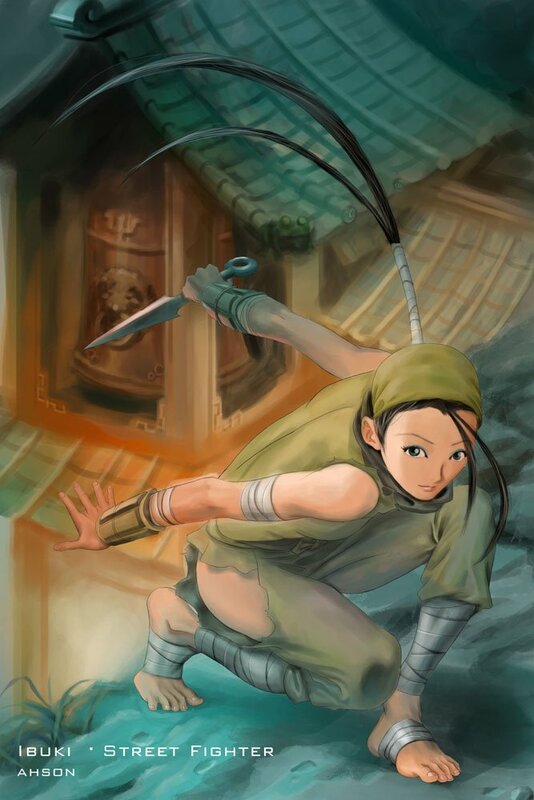 A kunoichi, Ibuki lives in a village composed entirely of Shinobi. 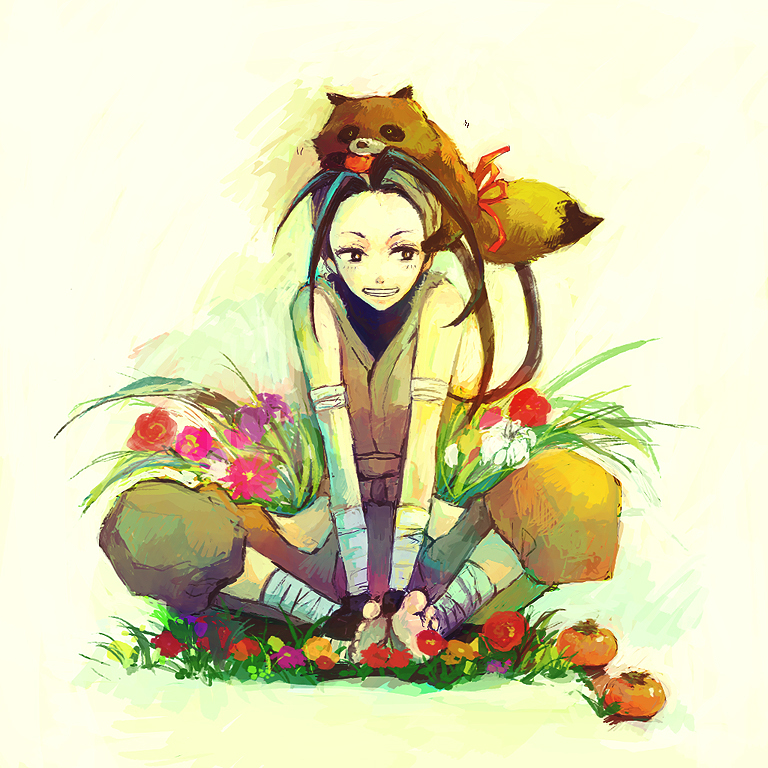 She has been trained from childhood, but resents her lot in life. 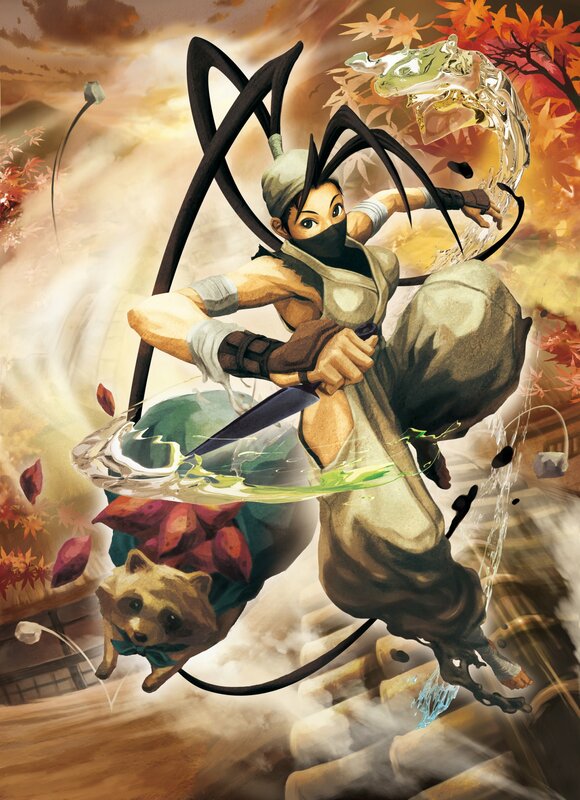 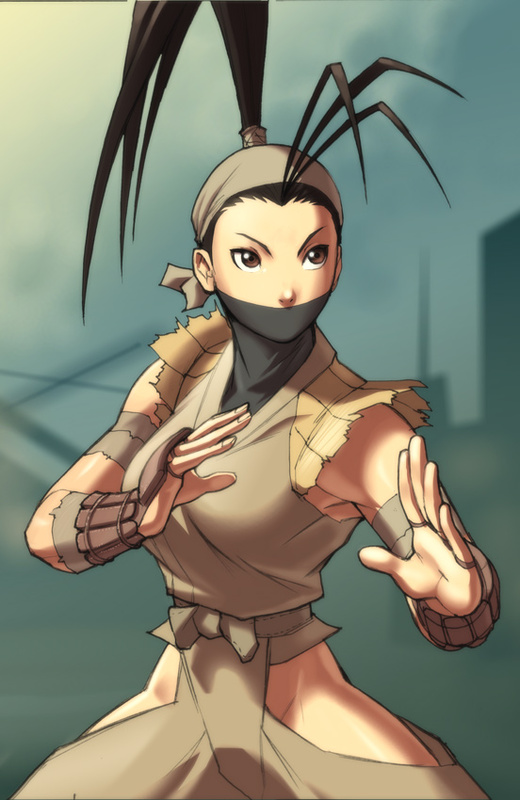 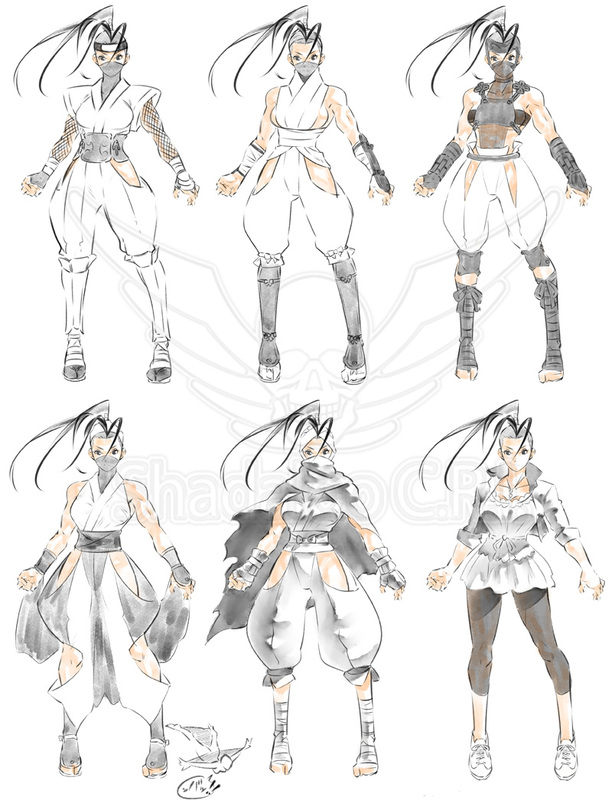 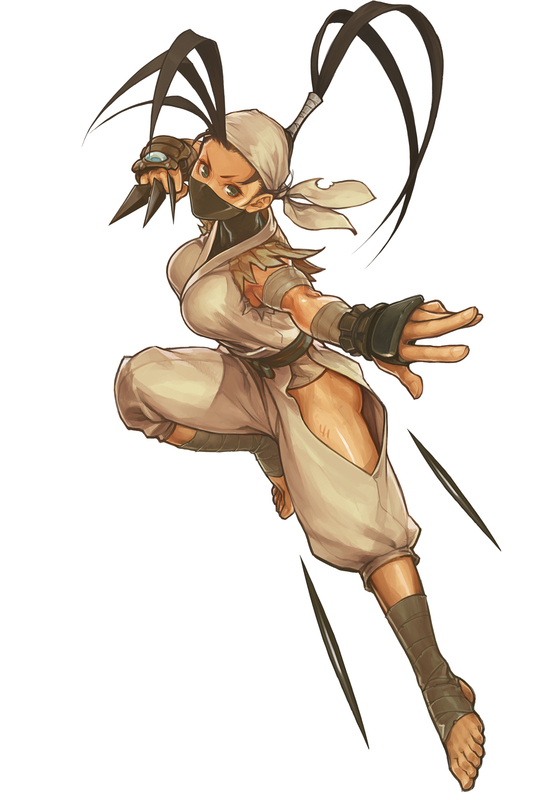 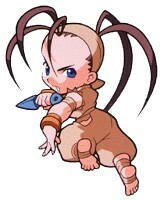 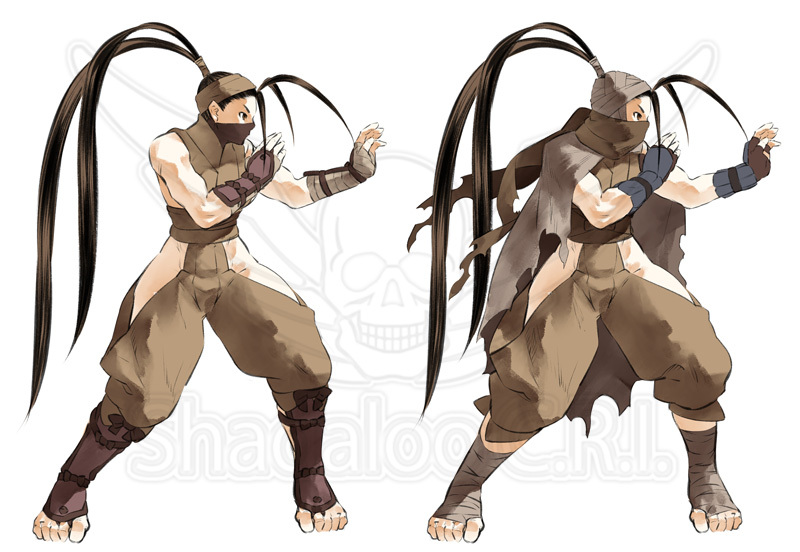 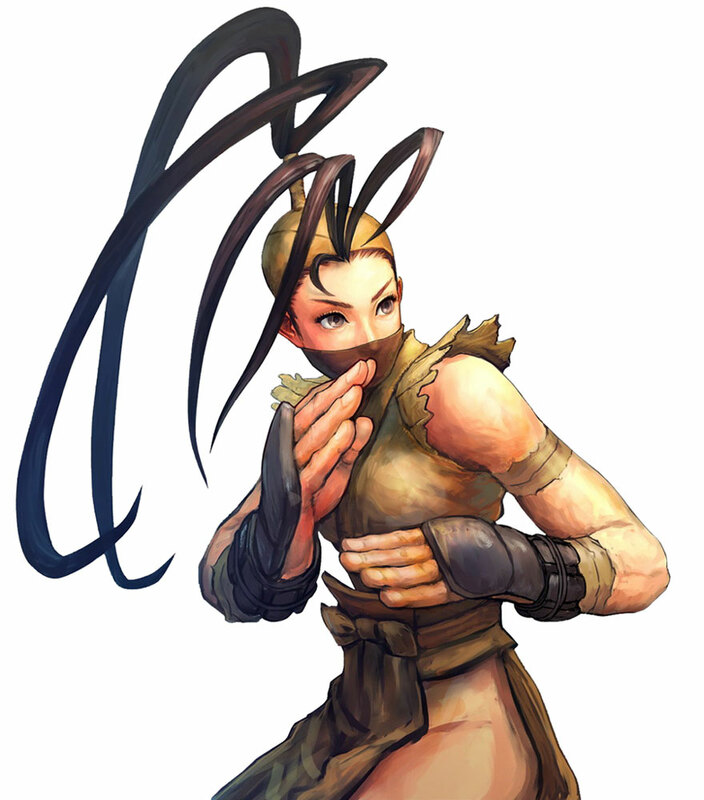 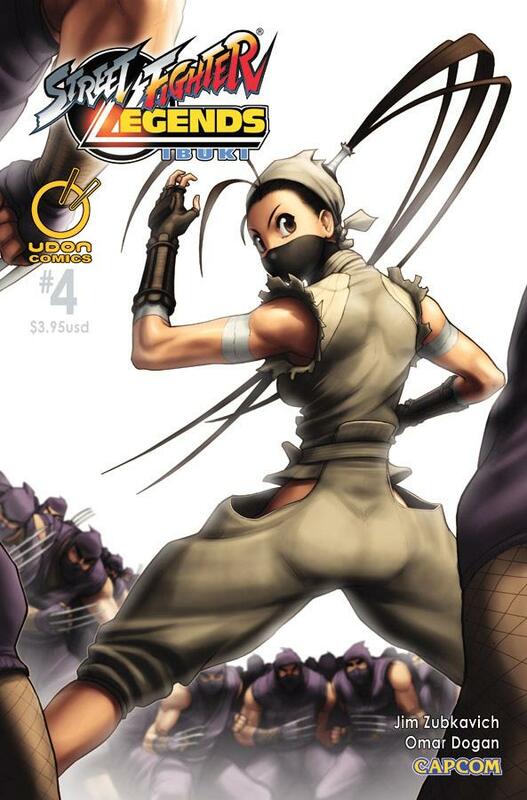 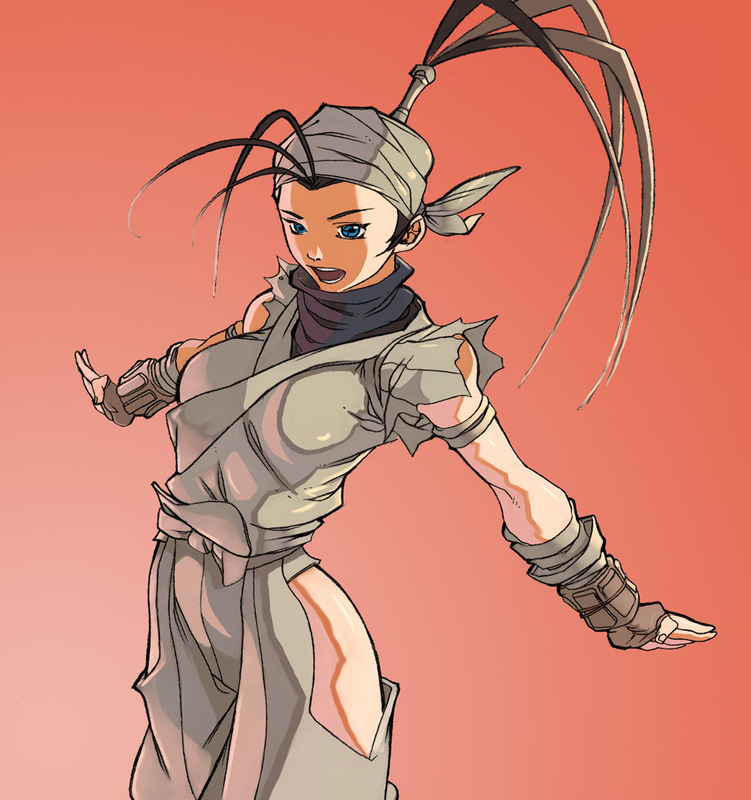 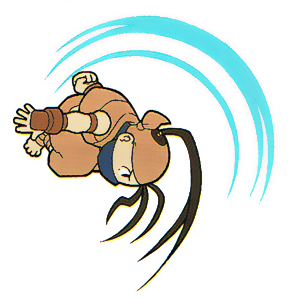 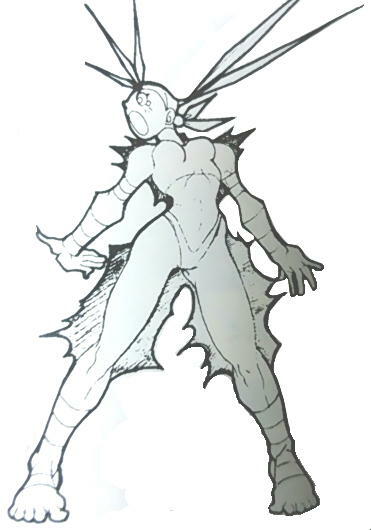 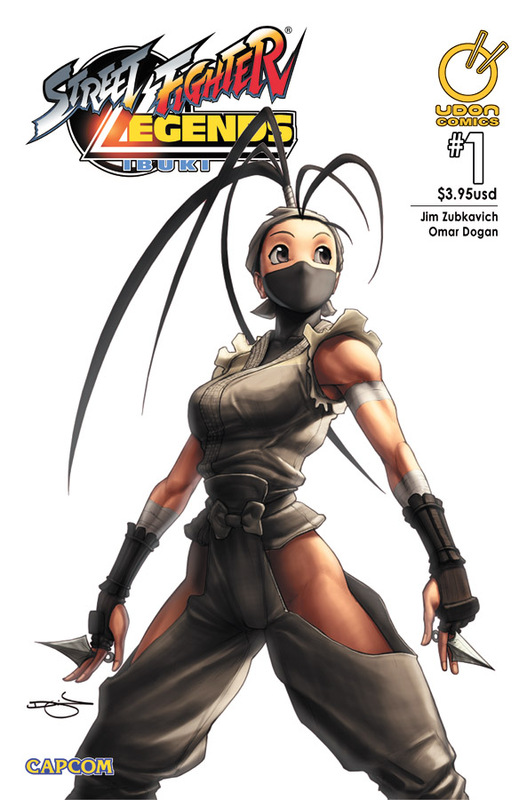 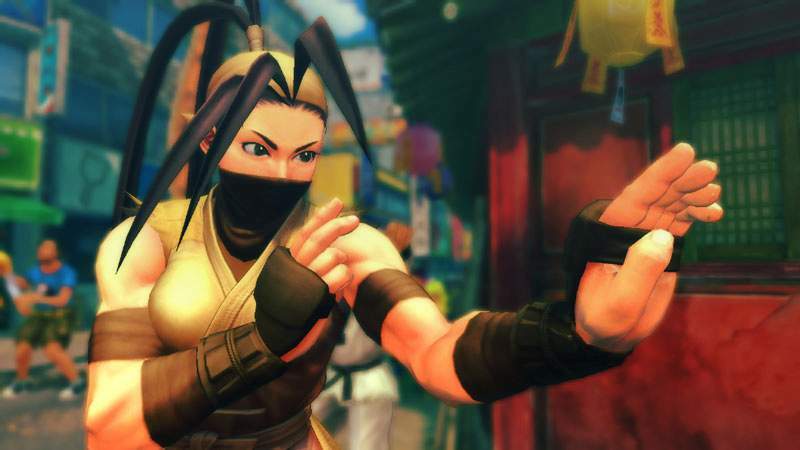 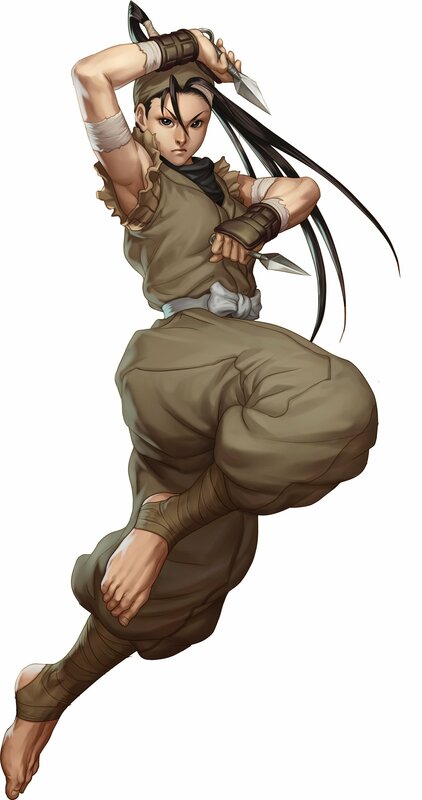 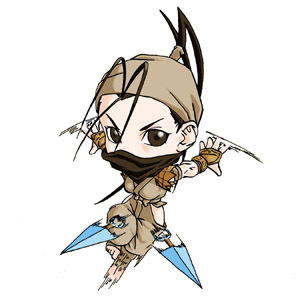 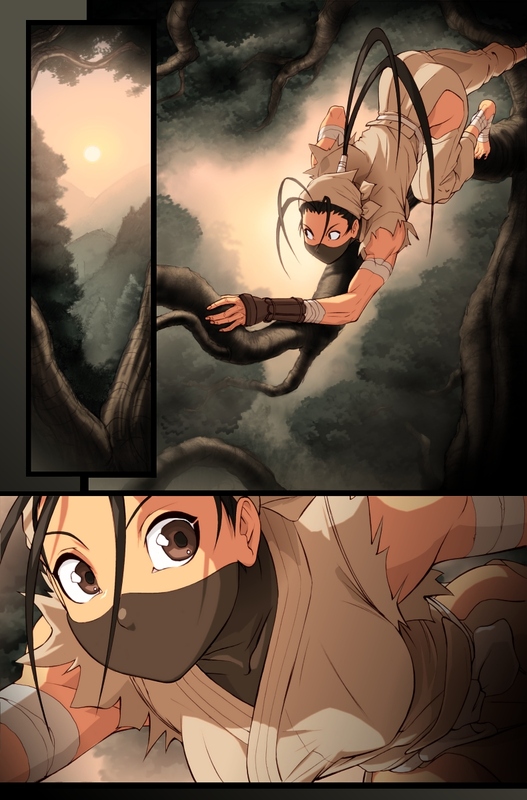 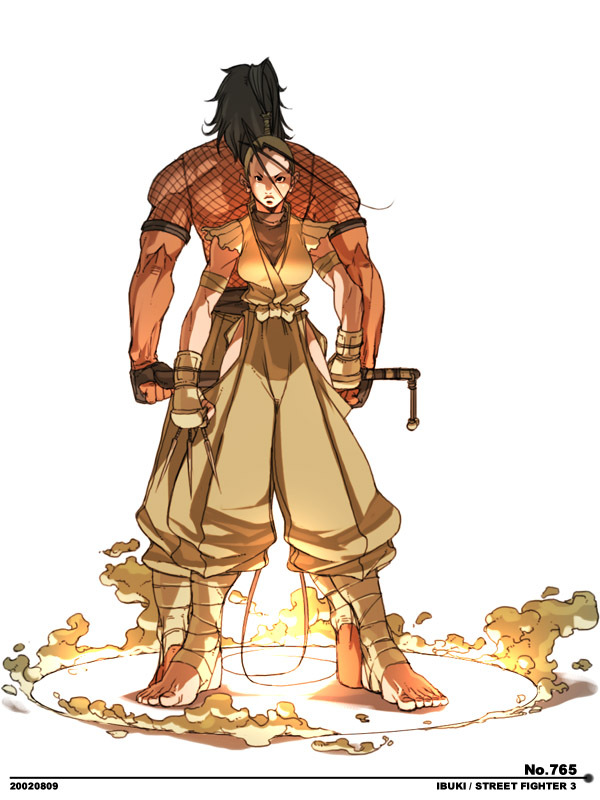 The other ninja in Ibuki's clan include Sanjou, Enjou, Genda, Raion, and Homura Yuuta. 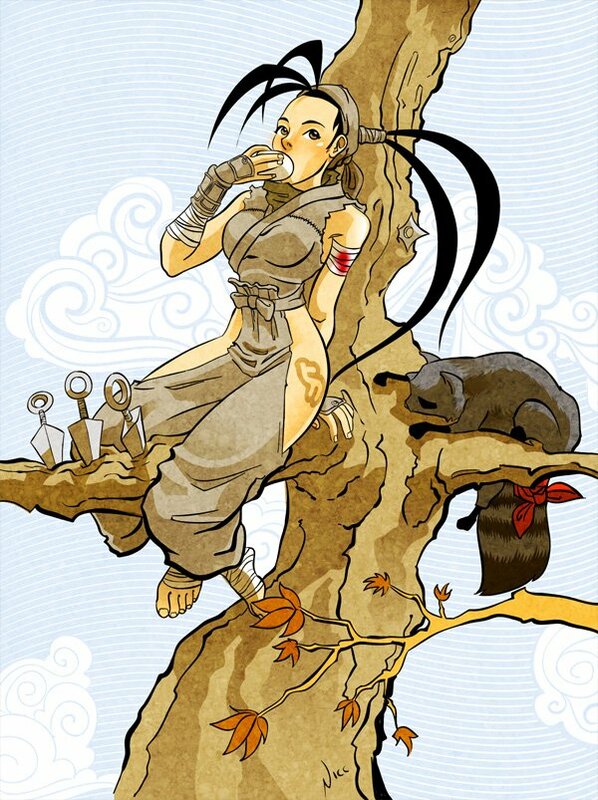 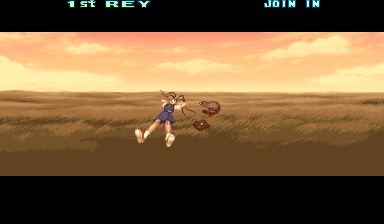 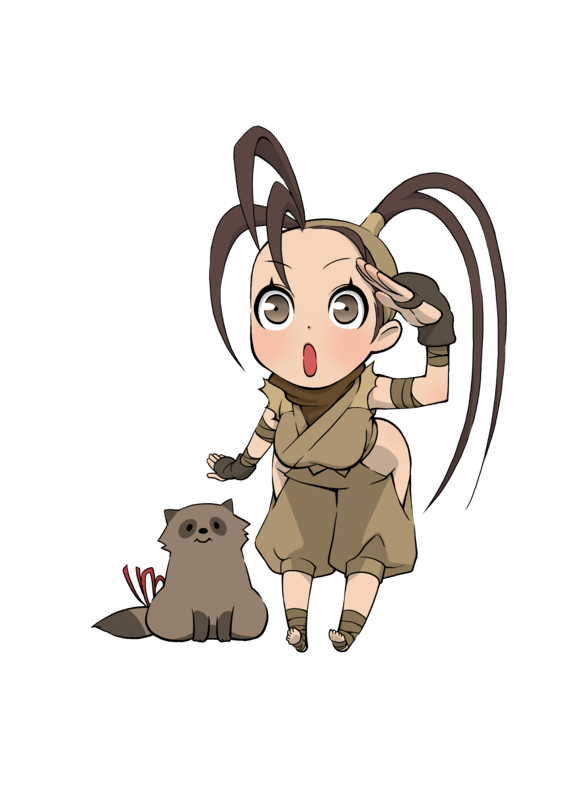 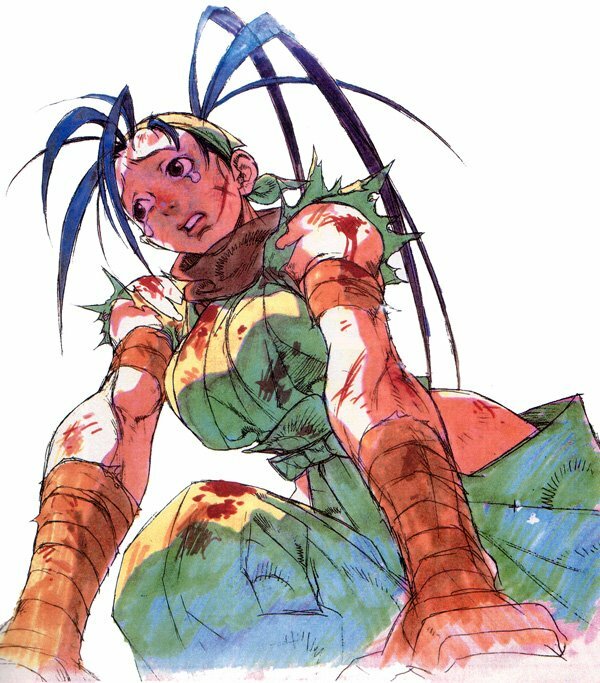 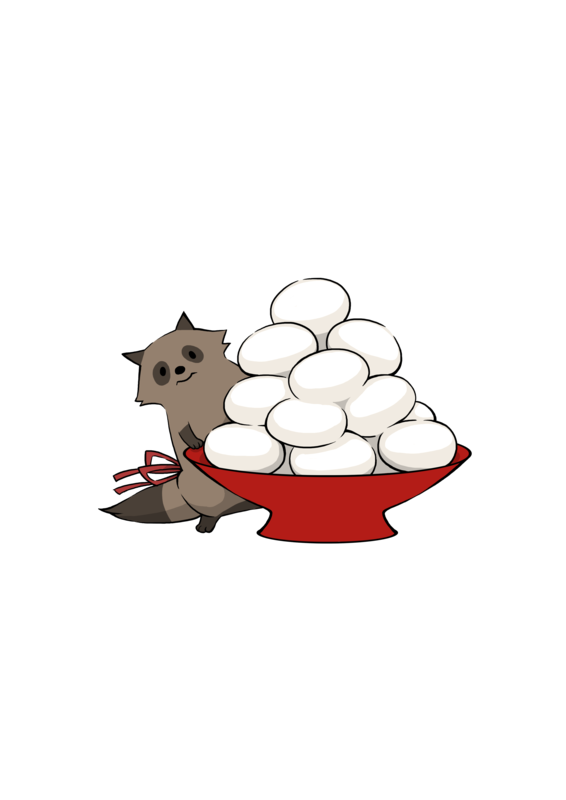 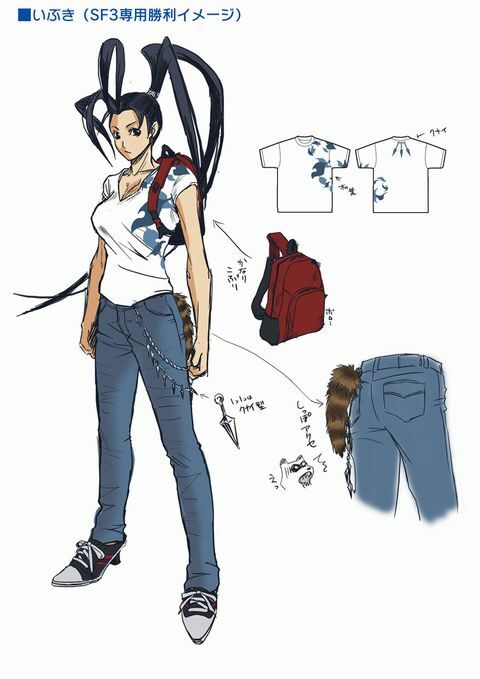 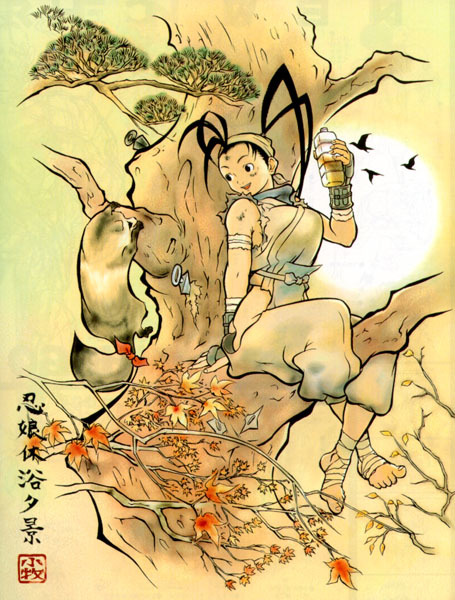 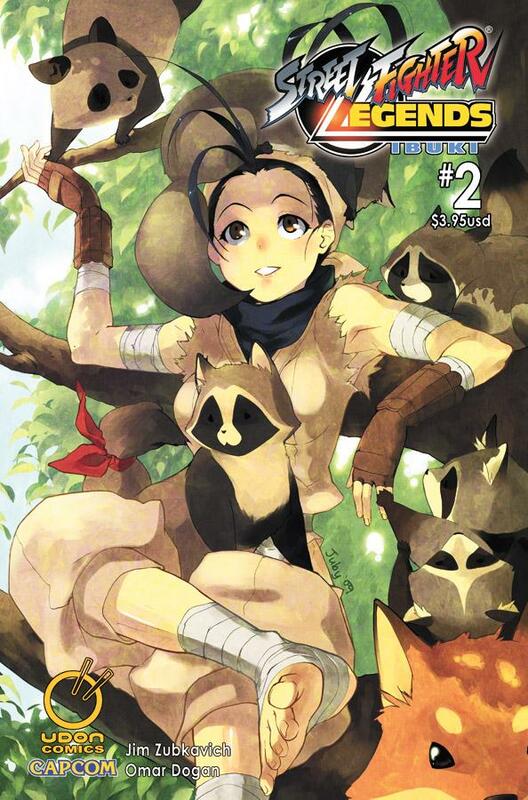 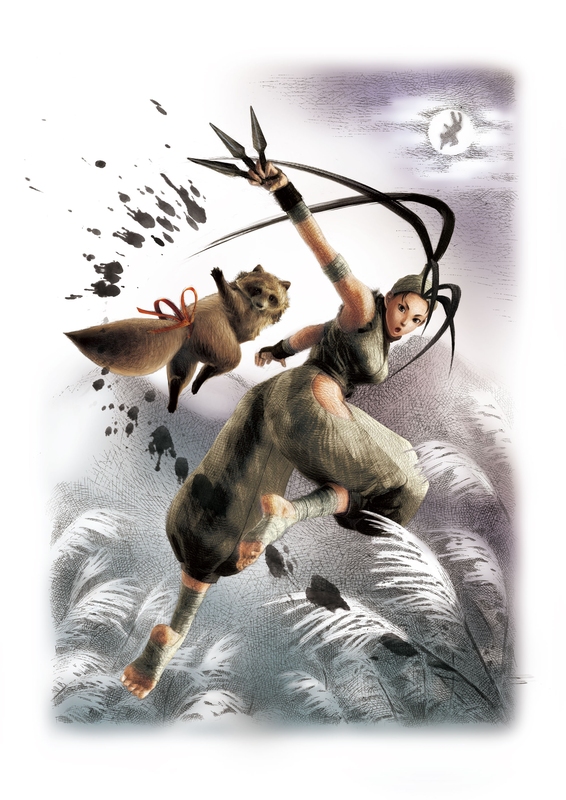 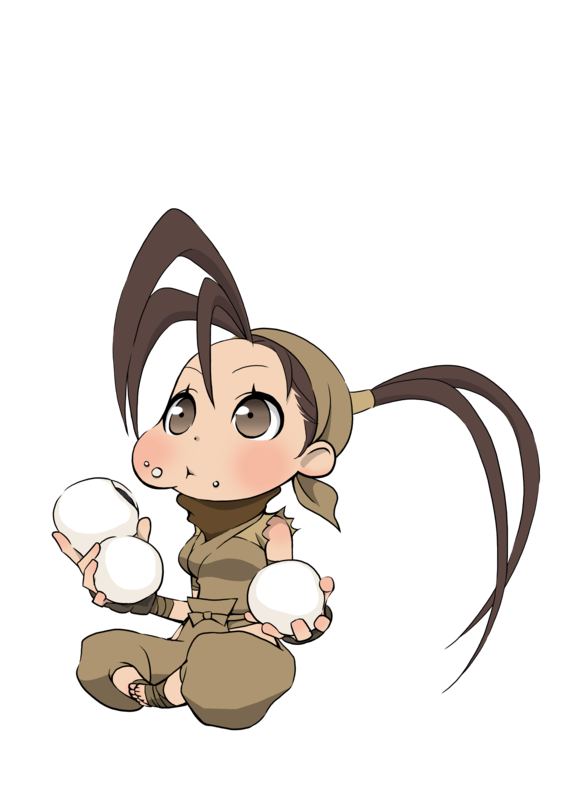 Ibuki also has a pet tanuki named Don, and her best friend and sparring partner is Sarai Kurosawa. 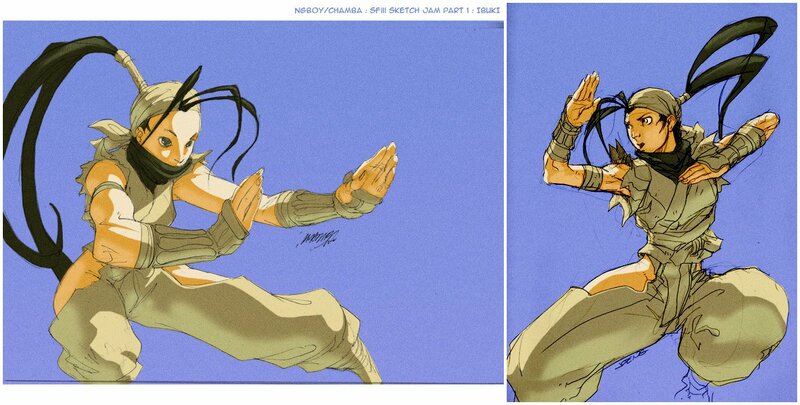 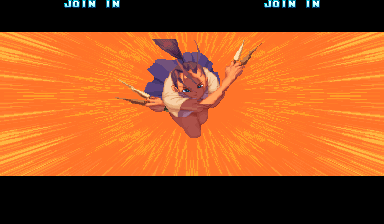 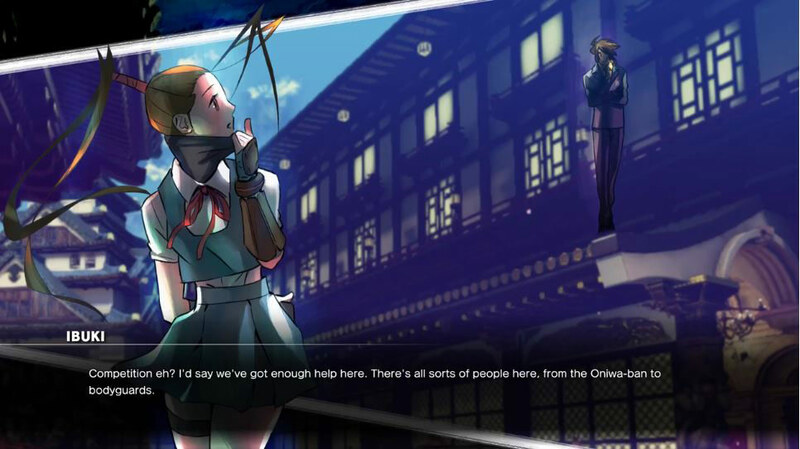 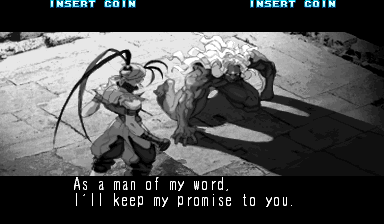 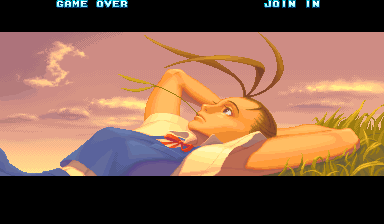 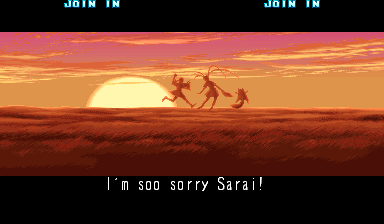 In Street Fighter III: 3rd Strike, Ibuki shares a special pre-fight intro with Makoto, showing that the two consider each other as special rivals of sorts. 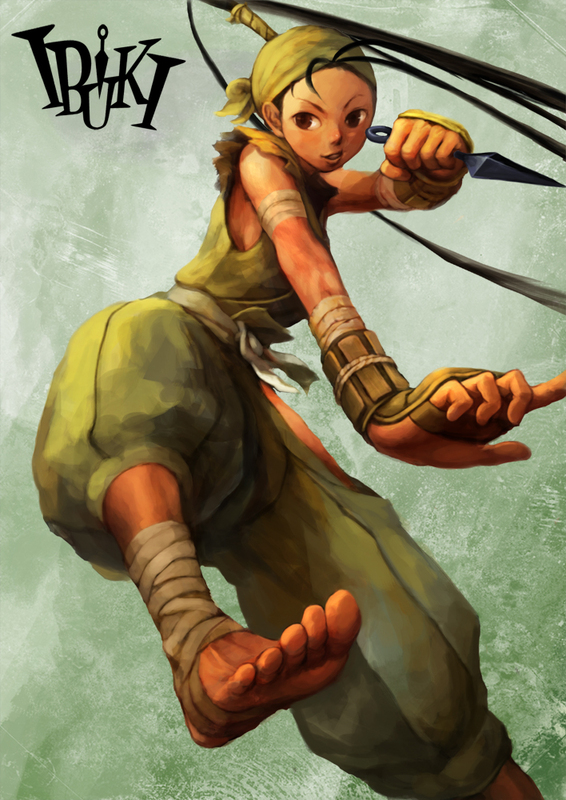 She is sent by her clan to procure documents from Gill's organization. 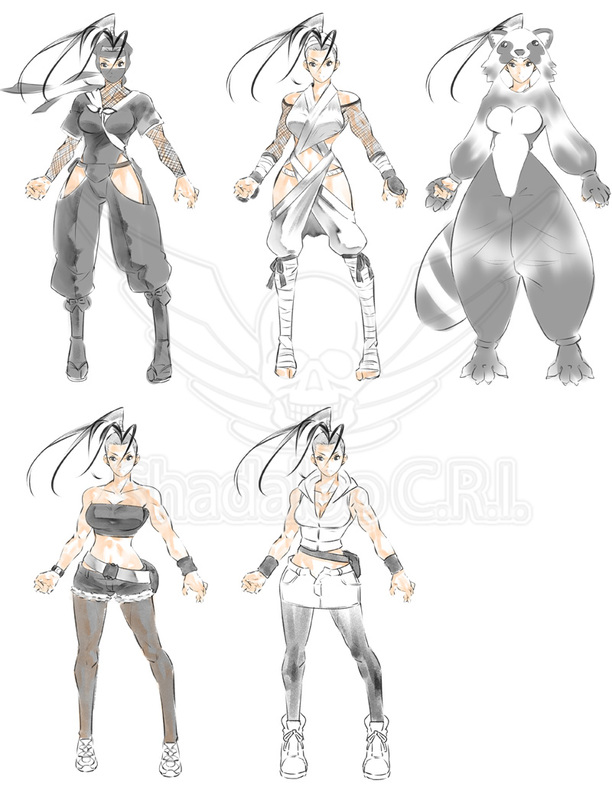 These documents concern the "G-File" project, which was responsible for creating Necro and Twelve. 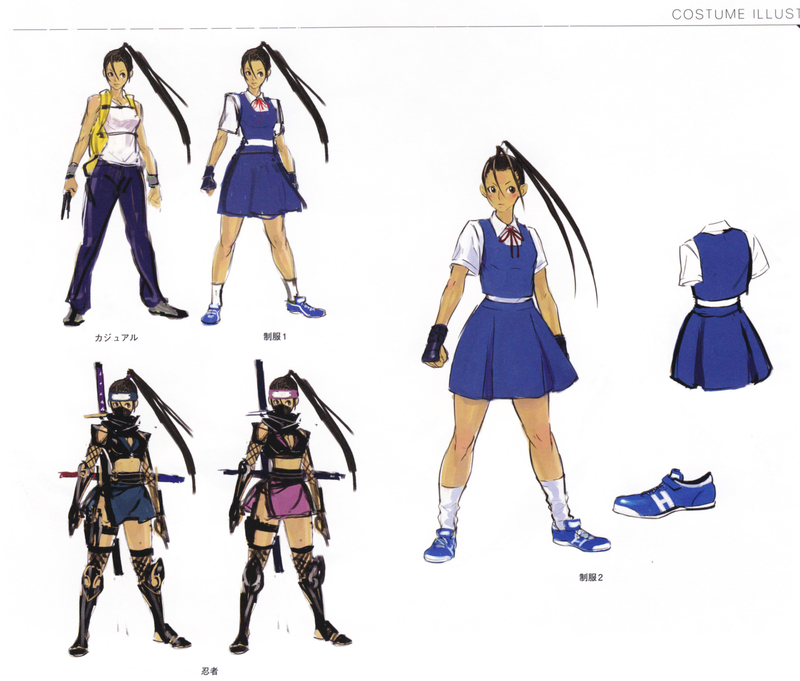 In Ibuki's ending, Gill voluntarily gives Ibuki the documents, though the project is already under way by that point. 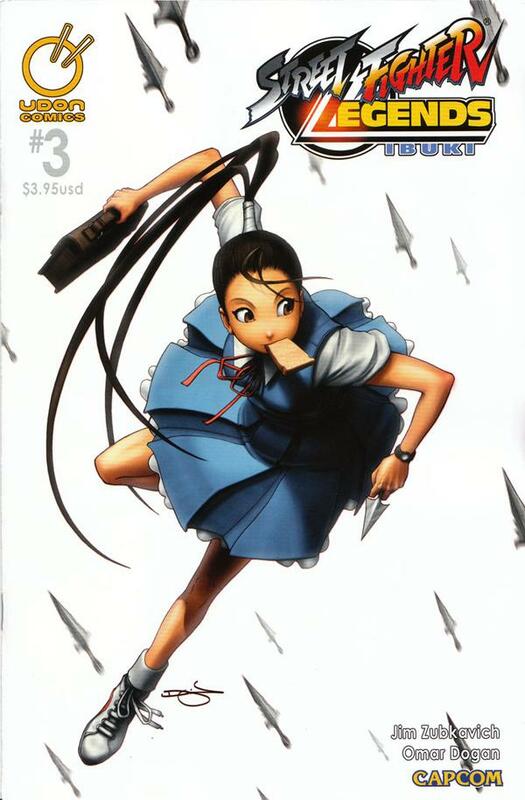 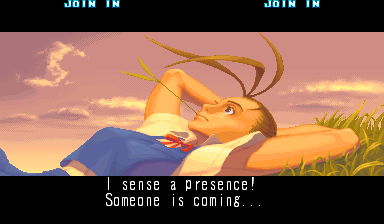 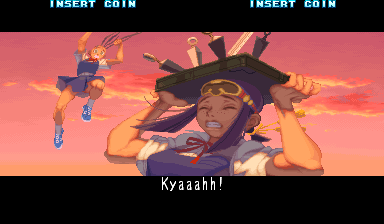 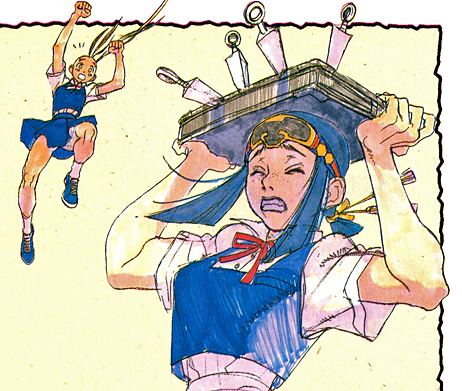 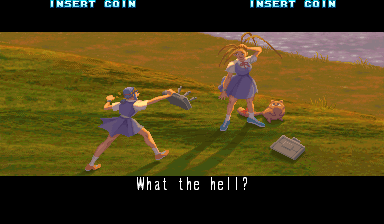 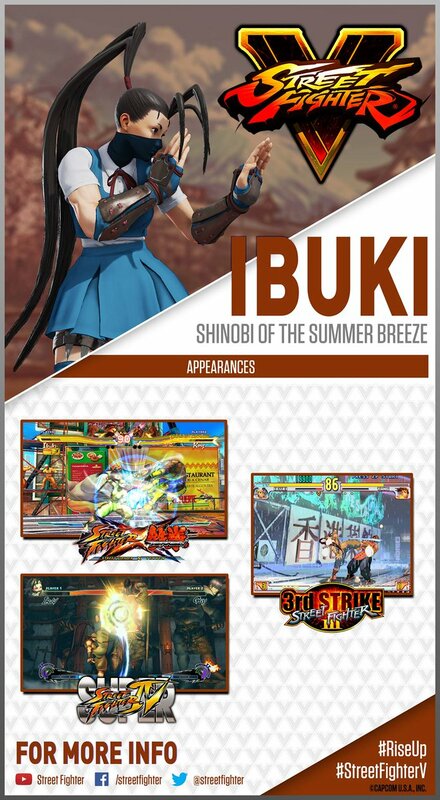 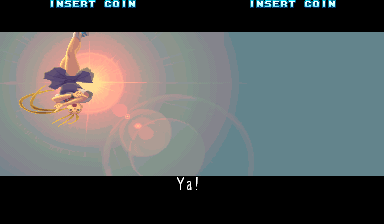 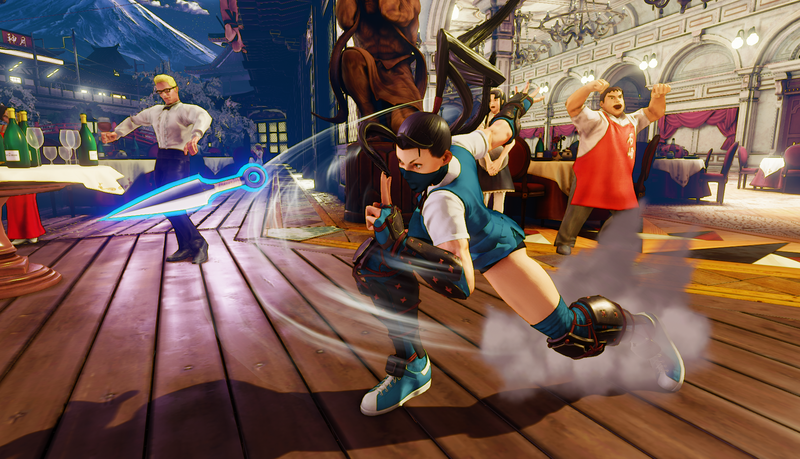 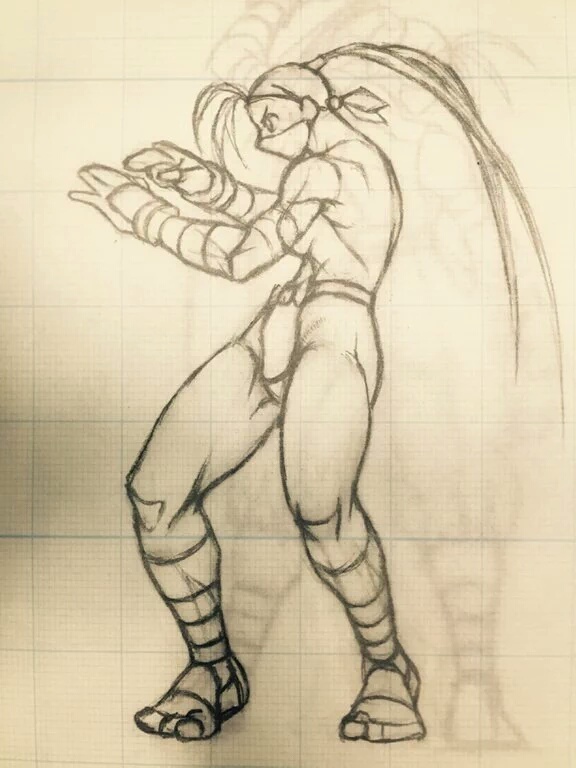 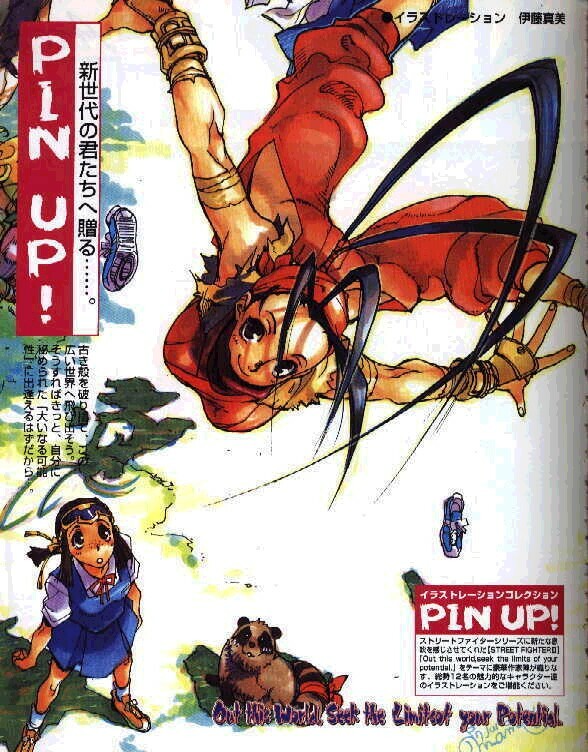 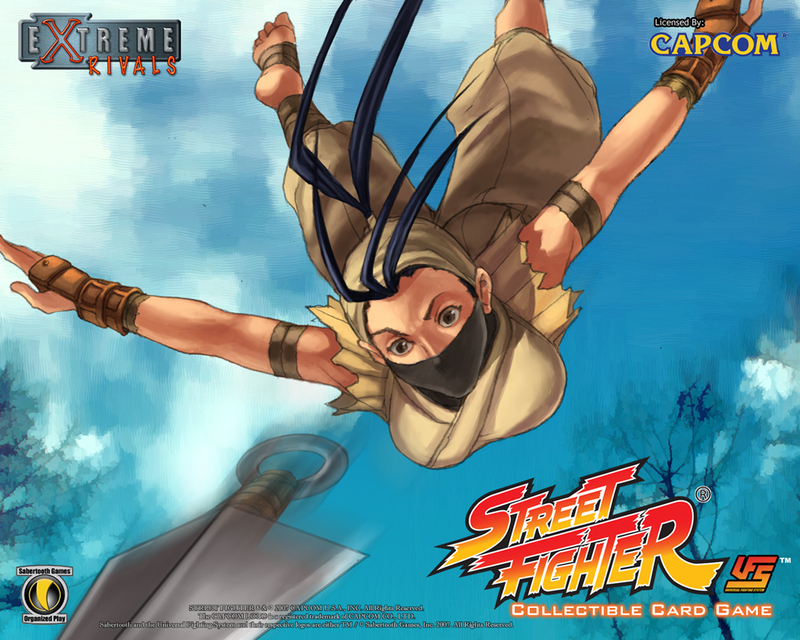 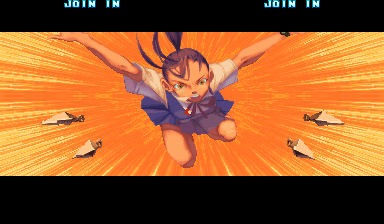 In SFIII: 3rd Strike, Ibuki tracks down Oro in order to fight him for her ninja graduation exam. 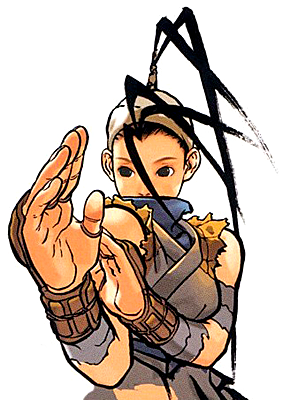 She fights well enough to pass, and moves on to go to a university. 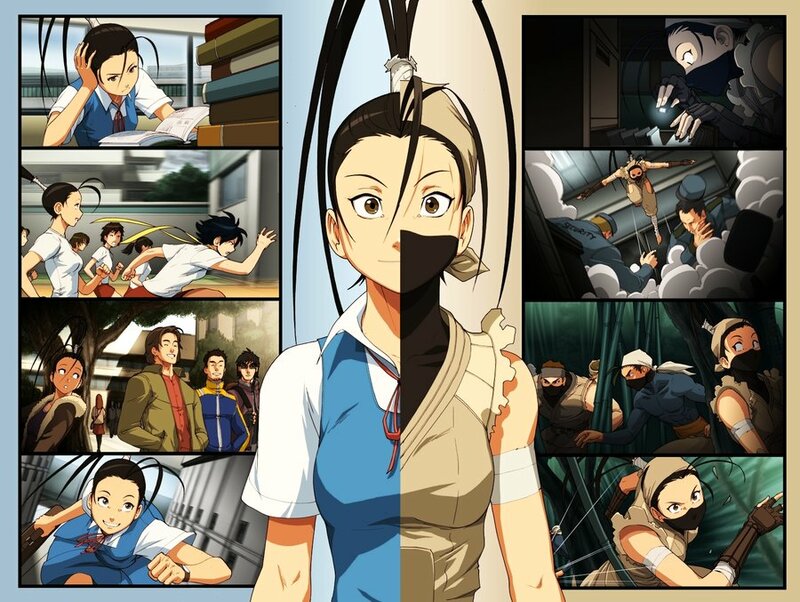 While there, attracted to a handsome classmate, she joins a club which, to her dismay, turns out to be based on ninja training. 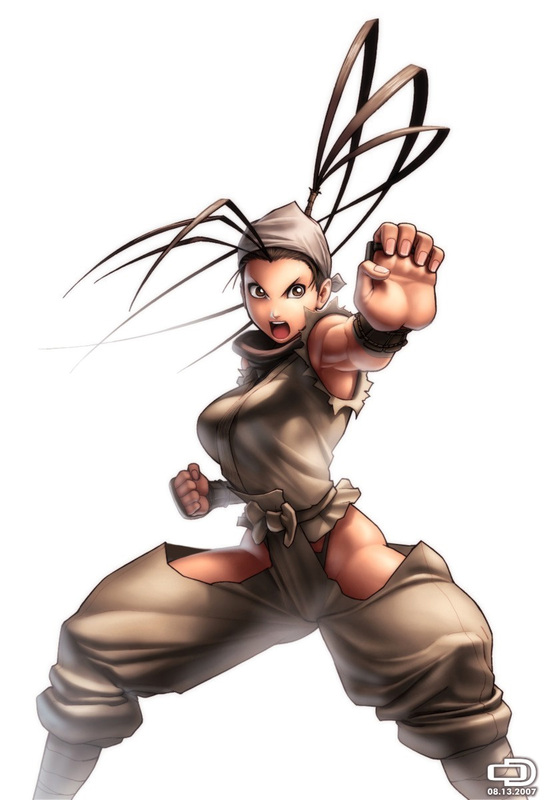 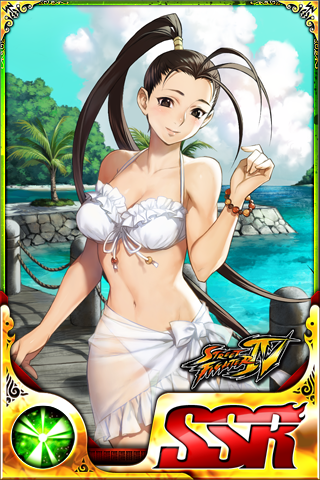 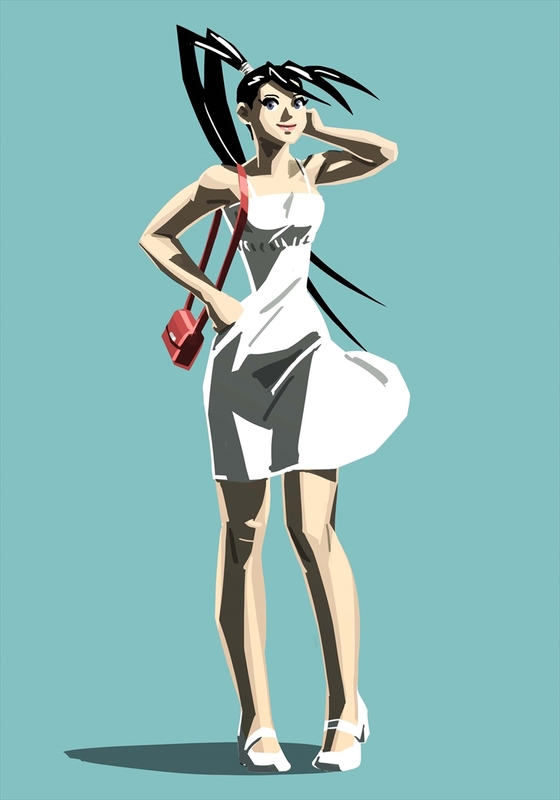 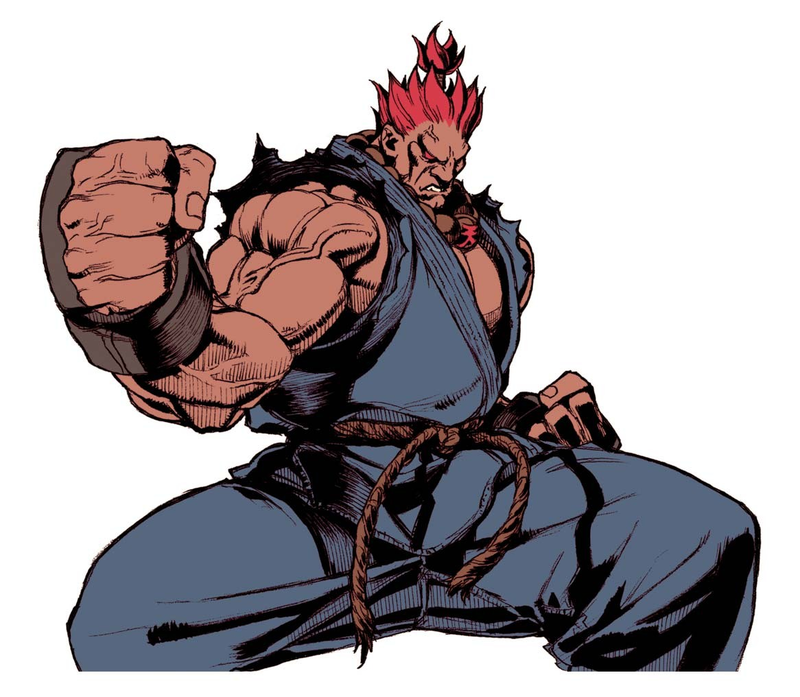 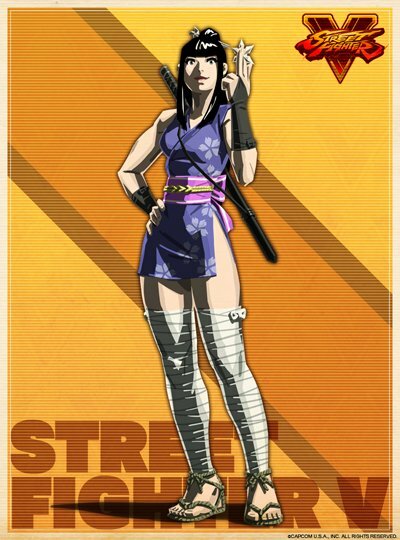 It was awesome to see her return in Super Street Fighter 4... she looks as badass as ever and is one of the best looking characters in the game, in my opinion. 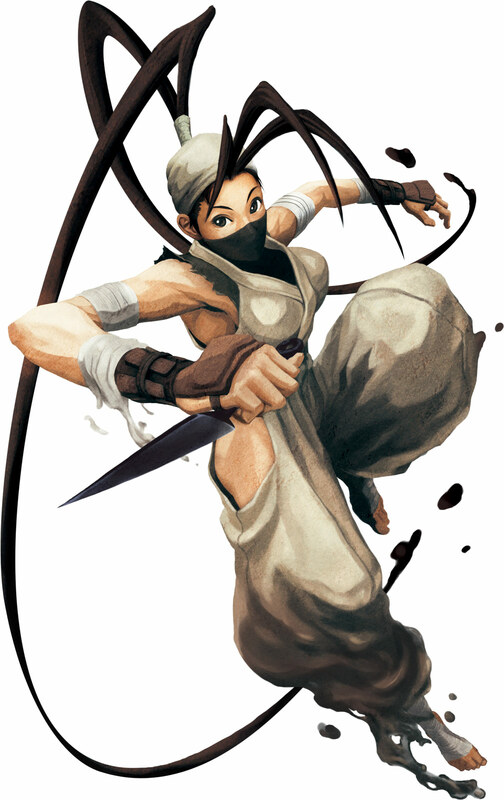 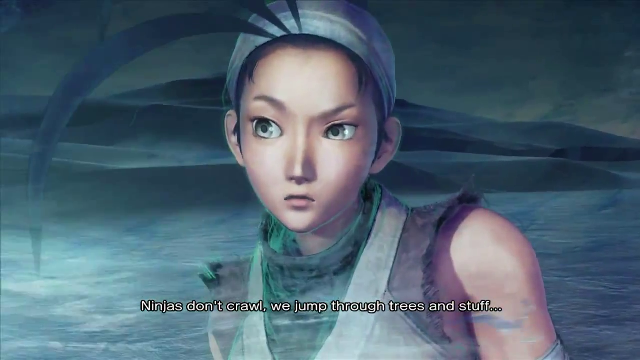 On a side note, she's my personal favorite fighting game ninja girl. 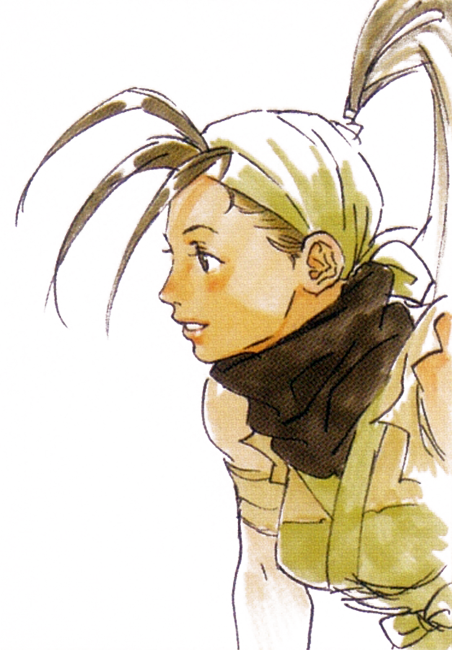 I also love her in-game soundtracks from the SFIII series (all 3 of them). 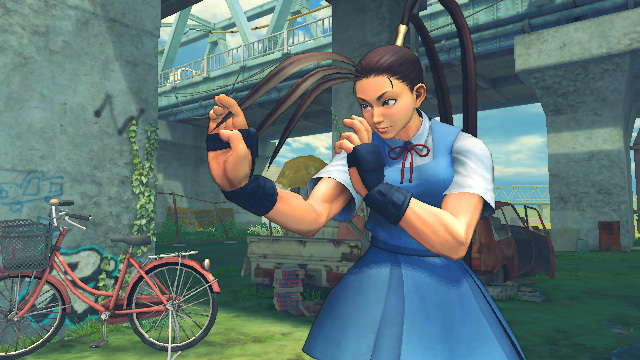 I'm also glad she made the cut to Street Fighter X Tekken! 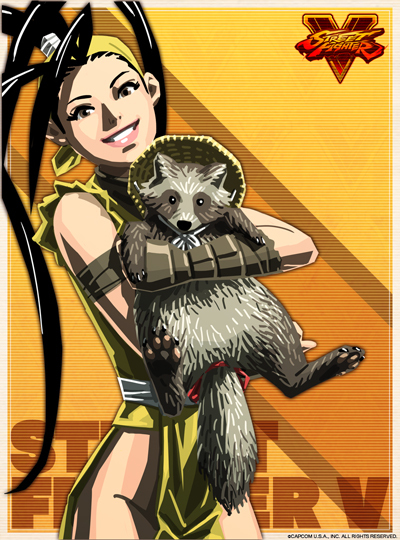 I think she'll fit in really well.